How many gas stations are there in the U.S.? Who owns them? How often are they robbed? 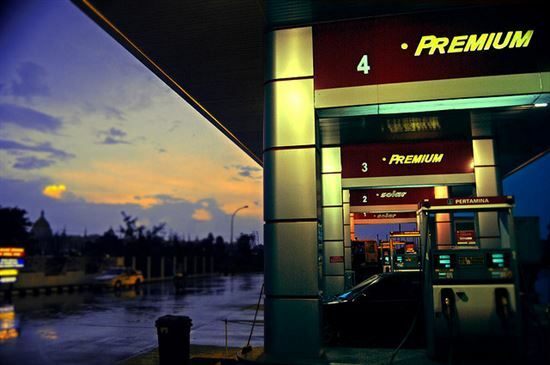 Read on for 23 remarkable facts and figures on gas stations. Unless you take public transportation to get to the places you need to go, gassing up is one of those necessary things that takes a bite out of your wallet. Gas stations have become a sort of financial measuring stick on how well the economy's doing. Over the last five years, gas prices have jumped to more than $4 a gallon and dipped back below $2, leaving many consumers' heads spinning. Even if you don't normally drive, chances are you're still hitting your local gas station or convenience store occasionally to pick up drinks, snacks or try your luck with lottery tickets. All those small transactions can add up to a big cost over time. If you're curious about what’s going on at gas stations and convenience stores, check out this in-depth look at the industry. To begin, we collected some key facts and figures on the gas station and convenience store industry to get a feel for just how large and profitable it is. We also checked into who's working behind the counters at gas stations and just how much they're earning. 1. How many gas stations are there in the U.S.? It's estimated that there are just over 10,700 stand-alone gas stations operating in the U.S. Altogether, they employ more than 120,000 people. 2. How much money do gas stations bring in annually? Gas station sales top $106 billion annually, and fluctuating gas prices have had a significant impact on revenues. Between 2010 and 2015, sales have declined by 2.7%. 3. How many convenience stores are there in the U.S.? As of December 2014, there were more than 151,000 convenience stores located across the country. That's a 1.4% increase over the previous year. 4. What percentage of convenience stores also sell gas? Nearly 84% of convenience stores also sell gas, in addition to drinks and snacks. The number of stores selling gas increased by 2.7% between 2013 and 2014. 5. How does their annual revenue compare? Convenience stores tend to be much bigger moneymakers than stand-alone service stations, bringing in more than $450 billion in revenue in 2014. Compared to the decline among gas stations, convenience store sales have picked up by 3.7% between 2010 and 2015. 6. Who owns the majority of gas stations? Surprisingly, big oil companies only own about 3% of all gas stations and convenience stores in the U.S. The rest are owned by independently licensed retailers. 7. How much does a typical gas station employee make? Gas station attendants make $8.31 an hour on average; the national hourly rate ranges from $7.27 to $10.28. 8. Who's most likely to work at gas stations? Men are more likely than women to be employed by gas stations, comprising approximately 68% of the industry workforce. Accidents happen - and some of them occur at gas stations. For the second phase of our study, we looked at the incidence of fires at gas stations and how often they're targeted for robbery. 9. How often are gas stations robbed? In 2012, more than 7,100 robberies occurred at gas stations across the country. The average take for criminals came to $943. 10. What about convenience stores? The robbery rate at convenience stores was more than double, totaling 14,955 incidents in 2012. Robbers made off with less money on average, however, netting just $706 per crime. 11. How often do fires occur at gas stations? Between 2004 and 2008, there were an average of 5,020 fires reported at gas stations annually. That's about one fire for every 13 service stations. 12. How many people are injured in gas station fires annually? Nearly 50 people are hurt as the result of a gas station fire each year. That number doesn't include the additional injuries suffered by firefighters or law enforcement. 13. How frequently do fatalities occur? Although they're rare, deaths related to gas station fires do occur. Between 2004 and 2008, there were two fatalities each year, on average. 14. What's the financial cost of gas station fires? In terms of the property damage involved, gas station fires come with an average price of $20 million per year. For the last part of our analysis, we looked at some trends in the gas station industry. Specifically we focused on gas consumption by state, gas tax prices and what convenience stores are selling besides gas. 15. Which state consumes the most gas? Some states guzzle down more gas than others. As of 2013, California was the worst offender, using some 348,000 barrels of gasoline. Texas ranked second, at 302,000 barrels consumed. 16. Which state uses the least? Alaska is the most gas-friendly state, with just 6,500 barrels used in 2013. Vermont takes the number two spot, with 7,500 barrels. 17. What state has the highest gas taxes? 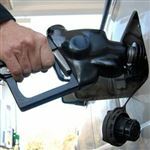 Massachusetts charges drivers the most for gas, with the effective tax rate as of January 2015 set at 68.9 cents per gallon (that includes local, state and federal taxes). 18. Which state has the lowest? Alaska is where gas will cost you the least, with total combined taxes coming to 29.7 cents per gallon. 19. How many alternative fueling stations are there in the U.S.? 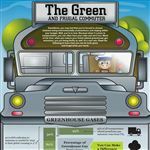 More drivers are turning to vehicles powered by alternative fuels to reduce their energy costs. Altogether, there are more than 15,700 alternative fueling stations in the U.S.
20. Which state has the most? The Golden State has proven to be the most popular for alternative energy vehicles; there are more than 2,600 places to fuel up in California. 21. How much beer do convenience stores sell each year? In 2013, convenience stores sold nearly 60% of all the beer consumed in the U.S. That adds up to about $14.5 billion in sales alone. 22. How do coffee sales compare? About 95% of convenience stores sell coffee, with annual sales exceeding $2.8 billion. 7-Eleven is the top place to grab a cup, with more than $156 million in sales for 2013. 23. How big are cigarette sales? More than 63% of smokers purchase their cigarettes at convenience stores. On average, stores pull in around $40,000 a month in cigarette sales alone. Gas stations are still doing some pretty decent business in the U.S., although they've largely been overshadowed by convenience stores. 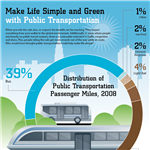 Fortunately, as long as people rely on their personal vehicles or public transportation to get around, they won't be going away any time soon. We agree, there are way too many gas credit cards to choose from. Leave a comment about Gas Station Statistics: 23 Interesting Facts? Share on Facebook "Gas Station Statistics: 23 Interesting Facts"